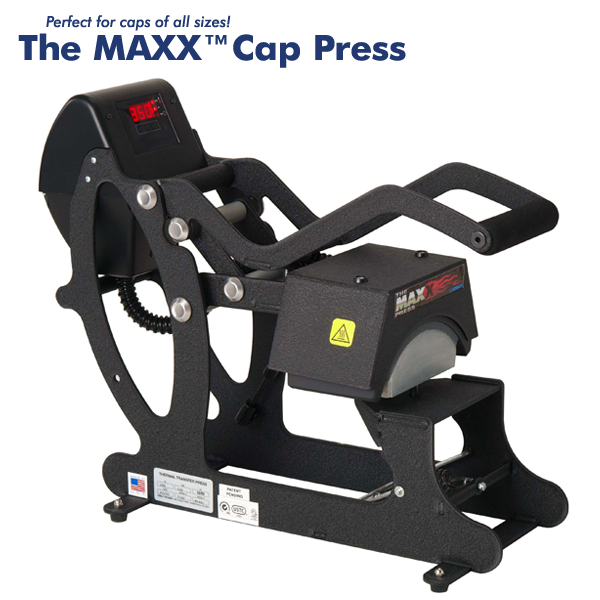 Creating fashion design caps is easy with the new MAXX Cap Press machine. use and operate easily, the MAXX Press machine features a cap hold down device, so graphics art will not move or shift during application. Buy changeable platens and heat press machine on as seen in image and any style cap added: small and big size crowns, low capacity and oversize. 6. Scratch protected, Power Coat Finish on back.